Attracting leads with online content marketing is crucial to building your business. Creating content and sharing it helps you to provide value to your audience, convert leads into customers and get repeat buyers. Content marketing is the best way to grow your business. Through creating content, I’ve earned hundreds of thousands of dollars. Information like blog posts, videos, social media posts, ebooks, and such are considered content. Providing free, value-driven information in these formats is how to grow your business. After creating content and publishing it, you can share it in social media. It can turn into word-of-mouth marketing and that is how to attract people to you online. If you did a good job defining your target audience, you’ll know exactly what type of information they are looking for. Solving the problems of your target audience is how you attract people to you with online content marketing. For example, if your target audience is people who want to lose weight, then your articles will be about solutions for weight loss, healthy lifestyle and healthy foods. Position you as an authority and expert in your niche market. Provide solutions to your audience in the form of free educational content as well as products that you sell. 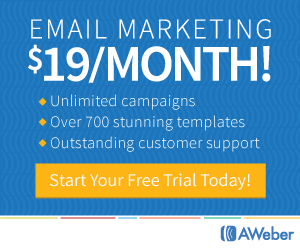 Provide calls to action for your audience to click a product link or opt-in to your email list. Work 24/7 on the Internet to serve anyone who discovers your content. Seriously, I still earn income from blog and video content from 2009! That’s crazy but true. I always wake up to new leads, new customers, and sometime new business partners. If you did a good job with providing value in your online content marketing and always having a strong call to action, you’ll be on your way to developing an effective online presence. Your audience will click the product links or email opt-in. That is just the start of how you can earn money when you create content. Right about now, you are probably wondering how to create content. I have a solution for you if you are just starting out. 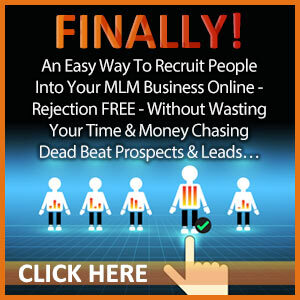 Watch training, informational or product videos from your niche market or MLSP. Turn your notes into a blog post. Repurpose your blog post into a video. When I first started my online business, I had no clue what to write about. I did exactly these steps. I watched videos, took good notes and turned them into blog posts which I repurposed into videos. If yes, I highly recommend that you join the MLSP Mastery membership. WHY? 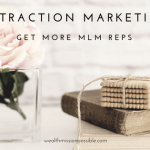 It’s a world-class training and education platform for online marketing, provides marketing tools that are easy to use, and you can generate an income stream from the affiliate program. 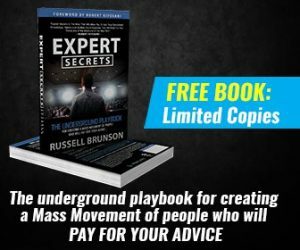 With thousands of hours of expert online marketing training in the Mastery library, you will never run out of information to write about for online content marketing. If you are ready to start growing your business with online content marketing, CLICK HERE to join the MLSP Mastery 10-day trial to see if it’s a good fit for you. Thanks Ron! Great minds think alike! I love content marketing. So much fun to learn and share. I am with you on that… people forgoe the training and don’t develop the necessary skills to get it right. Have a great weekend! Sticking to your industry will make it easy to write about. Lisa have you found that great content can also lead people into your opt in funnel? Thanks Jose! I appreciate your comments and the value you add to the community here! I think many people are overwhelmed with what to write about and that was me too when I started. Also, there is lots of information about content marketing but don’t understand how their business can grow from it. Yes, absolutely…valuable content leads people to opt-in to offers, each and every day. Its so true Lisa, having an online content marketing strategy in place is paramount these days. I think what is equally as important, if not more so, is to build a following through social media and to have your content shared. Those social signals are what Google takes into consideration and will move you up the ranks. Great content (like yours always is) is one thing, having people find it and share it is another story. You taught me a long time ago to repurpose my work by taking blog content and creating a video out of it. It’s brilliant and has been working very well! Thank-You! I love your point about watching training videos and creating content from that. My most shared and visited article was from a live training I took a few years back. 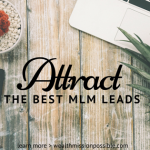 The article was on the top ten reasons you will fail in network marketing. The teacher had a different twist on it. Someone in another networking company came across my article and shared it with her entire team. The post got over 200 Facebook shares. I couldn’t believe it. Thanks for always putting out such great content! Thanks Richard! You always do a great job with repurposing content! I remember that article – aren’t you glad you took the time to write it? Creating content from conferences and other trainings is powerful stuff! Thanks Sonia! So glad that you took away some ideas for writing your blog posts. I love blogging because your blog is an asset that is always working for you. That’s why those old post still make money. Great job on your blog Sonia. Stay consistent and focused, do your keyword research and life can look a lot different a year from now! Have a great weekend. You are right about content marketing. 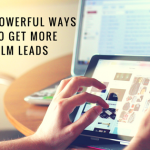 Content like blog posts, videos, slideshows and podcasts help convert highly targeted traffic into subscribers and then into clients/customers. Online content marketing might not be as easy as it used to be but it is so worth it (saying this from my own personal experience). This is because, as you stated, content marketing positions you as an expert. When people read you content and love it, they will be comfortable buying from you because they can see that you know what you are talking about. Thanks for sharing this post. I enjoyed it. Thank you for stopping by Chioma! It’s surely not as easy or simple as it used to be. In the days of old, good SEO had a huge influence on the success or failure of content marketing. It takes a lot more effort now. The good news is that anyone can dig in and learn the necessary skills to market content the right way. So glad you contributed here! Thank you. Thanks for sharing some excellent and prove advice Lisa! You are such a simple, yet straight forward method of operation. So that any serious online marketer, no matte what their current skill level is, can definitely follow your proven advice! This is my very first visit to your blog.I found you while leaving a comment on my Coach and Mentor Adrienne Smith’s excellent blog. I really like and truly appreciate your honest and straight forward approach!Thanks so much for for sharing your proven road map! Thank you Mark! I appreciate you stopping by for the first time. 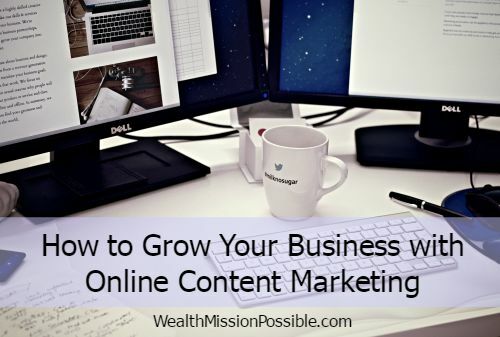 Lots of people talk about online content but many don’t make the connection to growing their business. Adrienne is awesome! I love her blog and have learned a lot from her as well. Glad you have her as a coach! Have a great day and see you again soon.